Many people are tightening up their belts and cutting back in order to make their budget stretch as far as it possibly can stretch. If you are looking to cut expenses, you may have overlooked these four areas. 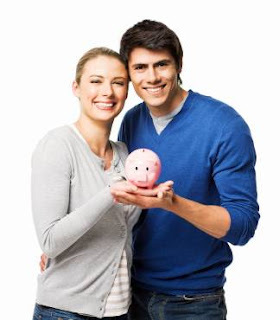 Read on for tips on how to save even more money! A trip a day to the "specialty coffee store" of your choice can really work hard on your budget. If you visit the store just once a day and order a a few items, you can easily spend $5 a trip. It doesn't sound like much until you do the math. At $5 a day, your daily coffee and cookie habit will cost about $150 a month. Instead of depriving yourself of your coffee kick, you can actually purchase "coffee store" brand coffee at the grocery store. Instead of stopping at the store on your way to work, you can make the coffee at home and take it with you in a travel mug. If it makes you feel better, you can even purchase the specialty travel mugs available at many of the coffee stores. Or, you could just pick one up at the your local discount store. If this idea doesn't appeal to you, you can save quite a bit of money by just reducing the number of trips that you make to your favorite store per week. Although the number of people using coupons is increasing, many people still don't use coupons. Clipping coupons may seem like a lot of work and it does require some organizational skills, but it can save you quite a bit of money. For those that are short on time as well as organizational skills, there are different websites which match coupons and sales at different retailers. Subscribing to such blogs is a great way to keep up with all the available deals while minimizing your frustration factor. By subscribing to these blogs, you will learn other money saving tips as well as other things including time management skills as well as parenting tips. You can find coupons in your local Sunday paper or you can print the coupons out online. Some stores even have their own coupons which you can use along with a manufacturer's coupon to save even more money. Walgreen's drug store prints a special coupon booklet each month which you can find in the store near the sales circulars. Rite Aid drug stores offer special coupons that you can use after watching a short video advertisement. You can pair these coupons with manufacturer's coupons to save quit a bit of money. Target also offers store coupons which you can find on their website. Scroll down to the bottom of the home page and click on the "coupon" link in order to access the deals. One way to save money is to learn the skills necessary to "do it yourself". Learning how to change the oil in your car can save you a sizable amount of money each year, especially if you do a lot of driving. This rule applies to almost anything in life: mending your own clothes is cheaper than taking them to a tailor and cutting your own grass is a lot cheaper than hiring a lawn service. Of course, there are some times when you absolutely need to get outside help to get a job done. However, the reality is that many people are paying for things that they could be doing themselves. If you already have some basic skills, you may just need to purchase a book or manual on home repair for a reference. If you do not have any basic skills, you may want to take a class at your local community college. Many communities offer low cost enrichment courses on car repair, computer skills, and home maintenance. Bartering is a great way to save money but still get the items and services that you need. In fact, to barter means to trade goods and services instead of using money. If you have ever offered to cut your neighbor's lawn in exchange for using his lawn mower to cut your lawn, you have bartered. Of course, not everyone is open to the idea of bartering and that is where the concept can get tricky. For those who wish to try bartering, but do not have an informal network of friends and family to barter with, you can try joining a bartering network online. Before joining a network, be sure to learn the rules of the community in order to see if a network will be a "good fit" for you. A penny saved is a penny earned. Though the economy is in a bad shape, I would recommend these things even in good times. A penny saved is a penny earned. Just two Starbuck Latte's a day takes away $20 from you. Why not save that?